This cool modeled card background was made with different colors of alcohol inks applied onto glassy paper using a felt applicator. You can gets many different looks using this technique by simply changing colors or adding more or less ink. 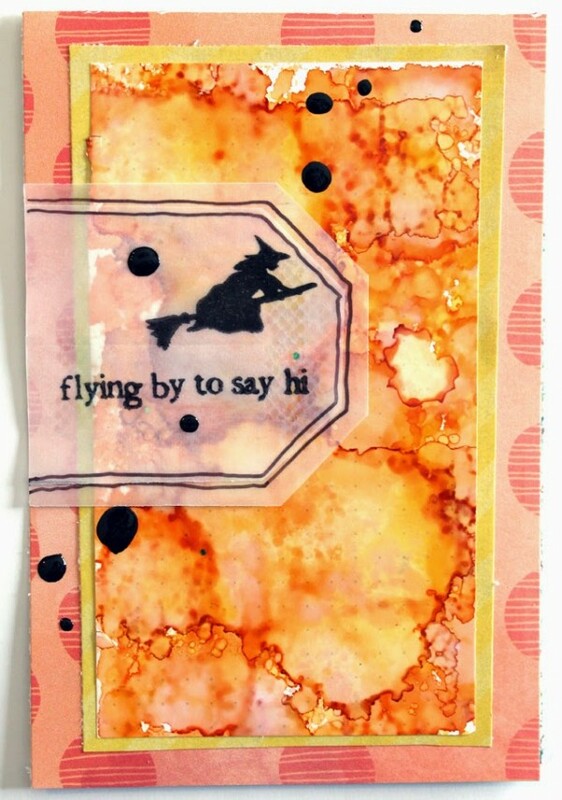 The Punk Projects blog shares how to get this fun marbled look on a spooky Halloween card.